Cute Animal Art, Animal paintings and illustrations, and Animal artists: Whimbletails™ Announces New Manufacturing Partnership! We're pleased to announce that starting immediately, we will be partnering with Zazzle, the leader in on-demand retail manufacturing. Whimbletails™ joins individuals, professional artists and designers, and other top brands like Hallmark, Mattel, the Walt Disney Company, Star Wars, and the Library of Congress in taking advantage of the company's extensive on-demand manufacturing technology. An all-new, larger variety of Whimbletails™ products will be available for purchase in the Zazzle marketplace starting late fall, while some of the current store items will be discontinued. 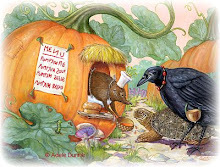 For a preview, please go to Adele's Cute Animal Art Shop. See you there!